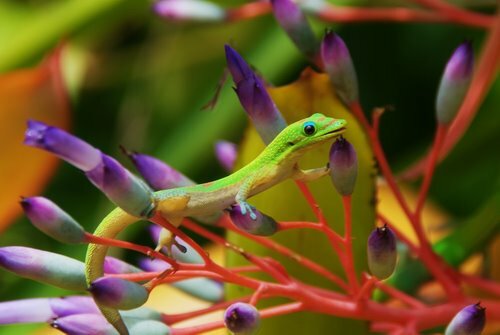 On our exquisite 2-hour walking tour, one of our horticultural experts will point out fascinating facts about the beautiful flowers and plants in our extensive botanical collection and answer questions about tropical plants. Your horticultural guide will first lead you to a spectacular view of Kamaee Falls, proclaimed to be one of Hawaii’s most beautiful and pristine waterfalls. This location is a must stop for both novice and professional photographers alike. From there, you will be taking an unhurried stroll through our tropical Rainforest Trail. Watch other guests zipping high in the forest canopy and listen as our experts explain the many and varied uses of tropical plants, allowing you to smell the flowers and taste some of the ripe fruit. 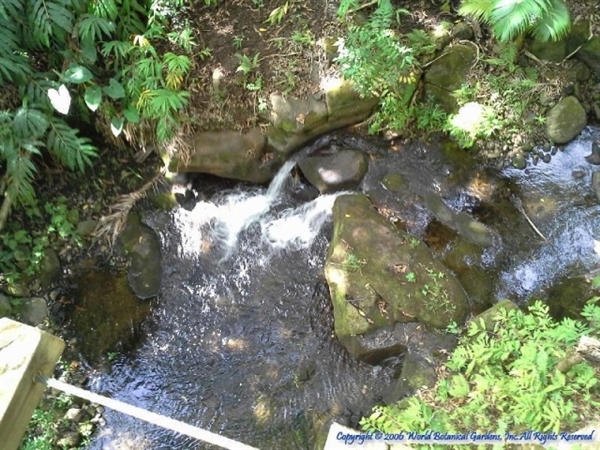 Continuing down the trail, you will encounter a quiet, serene, natural spring-fed stream lined by many of Hawaii’s unique plants and trees. At the halfway point of your tour, you have the option to add a delicious lunch. 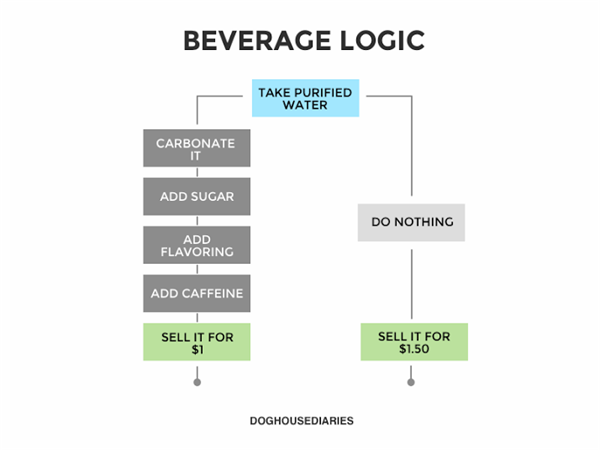 Prepared and served for our guests, this unique option must be reserved in advance. Everyone will be able to partake in dessert – a sampling of fresh fruit from our own gardens. Following the fruit and refreshment break, the group will proceed to our final destination, the magnificent Rainbow Walk. 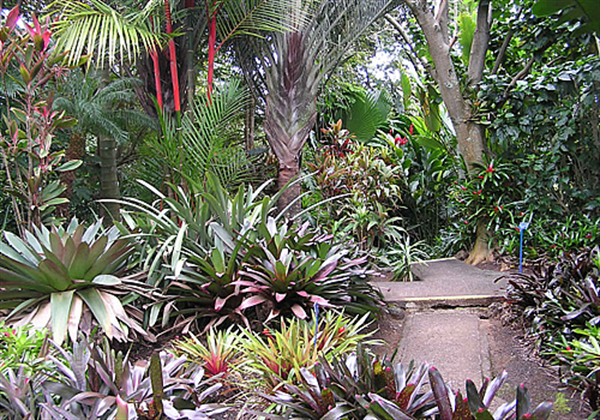 This portion of the tour meanders along a paved walkway surrounded by thousands of tropical plants. 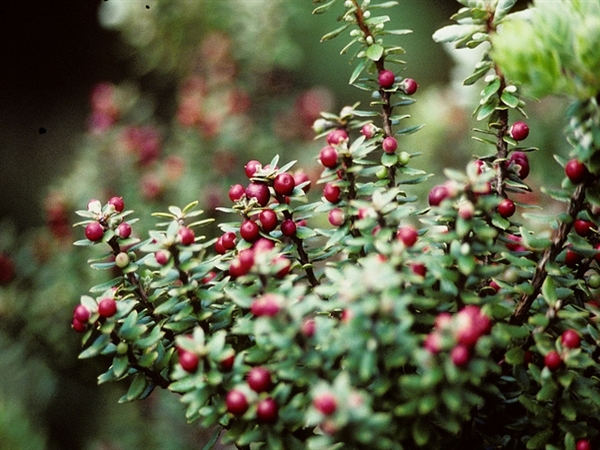 An indigenous plant that also occurs in the Marquesas Islands, pukiawe is familiar to hikers in the national parks. It’s a tough, stiff, small-leaved shrub whose small red or pink berries brighten the trailside. Quite variable in form, these plants occur naturally from two thousand feet elevation to the mountain summits, thriving on arid lava as well as forest and bog. Hawaiians added pukiawe to their lei for the extra color. If a kapu chief wanted to dispense with the rules that separated him from common people, he would use the incense of burning pukiawe as a spiritual fumigation. The wood was used to cremate the bodies of outlaws. 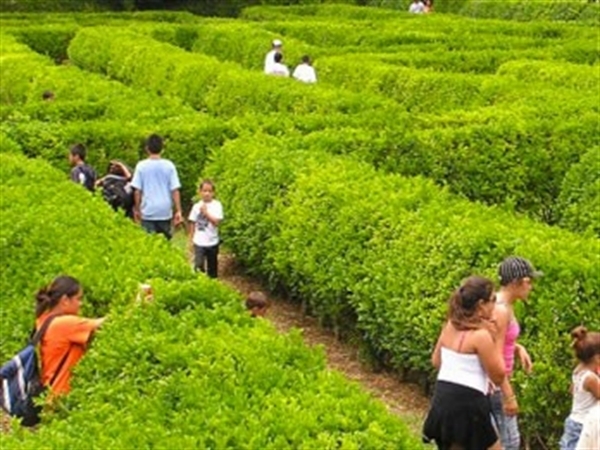 Adjacent to the Rainbow Walk is our Children’s Maze, the world’s second largest permanently planted maze. Covering an area more than the size of a football field, it consists of thousands of mock orange bushes planted in a regular array of hedge work.